Egyptian President Abdel Fattah al-Sisi is set to visit Sudan in October to seal several bilateral deals amid diplomatic tensions. The visit comes a year after Khartoum banned the import of Egyptian farm produce over alleged use of pesticides. The two neighbors also have a long-standing dispute over a territory in Egypt’s south that Khartoum says is Sudanese. The Hala’ib Triangle is an area of land of just under 20,500 square kilometers on the Egyptian-Sudanese border, which both countries have claimed theirs since Sudan gained independence. In 2016, Cairo signed a controversial agreement with Riyadh to hand over two strategically important Red Sea islands—Tiran and Sanafir—to Saudi Arabia. Also, Sisi’s visit to Sudan comes at a time Egypt seeks support from Sudan over Ethiopia’s bid to quickly fill a reservoir behind the mega-hydroelectric dam it is constructing on the Nile. Egypt worries about the structure’s impact on the river’s water levels and potential harm to agriculture and industry. 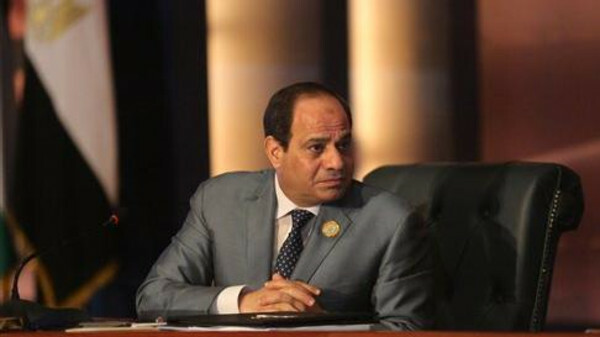 According to Sudan’s foreign minister Al-Dirdiri Mohamed, Sisi will partake in the proceedings of a high joint committee. He is expected to ink a series of agreements. Al-Dirdiri Mohamed did not give a date for the visit or details of agreements that will be signed. Posted by Khalid Al Mouahidi on May 30, 2018. Filed under News. You can follow any responses to this entry through the RSS 2.0. Both comments and pings are currently closed.